Kinda Co. in the Press! 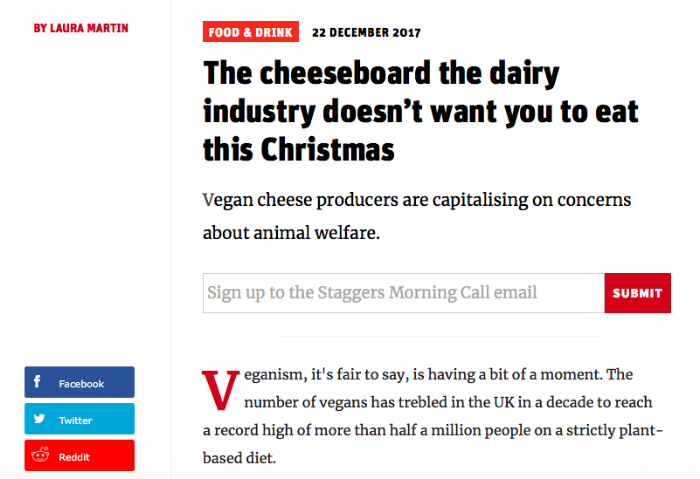 Our Interview with The New Statesman — Kinda Co.
Before Christmas we had the chance to speak to Laura Martin, writing for the New Statesman, all about how we started Kinda Co. and the opposition we have faced from the big bad dairy companies. Some of you may already know about the trouble we had with our original name 'Kinda Cheese' that led to us becoming Kinda Co. We love our new name but it was a steep learning curve about the obstacles you can face when starting a business!